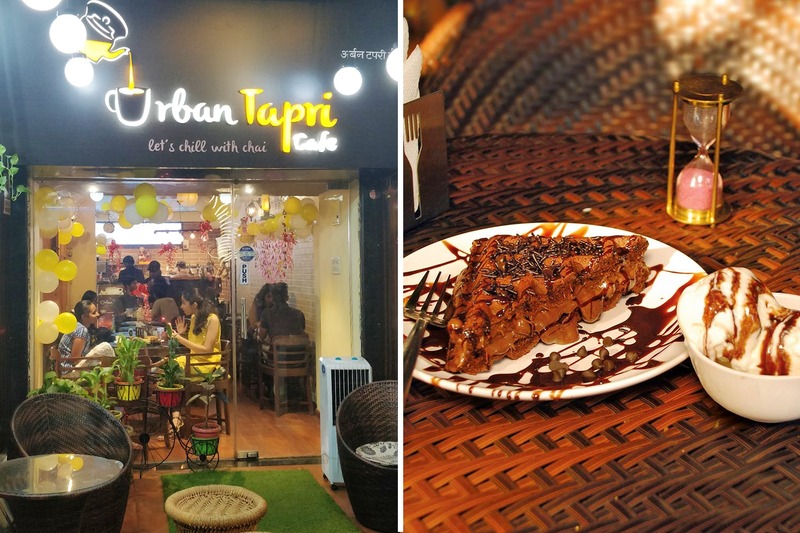 Tucked away in a rather unassuming street in Vile Parle (E) between random medical shops and grocers is the Urban Tapri Café, standing out with its fairy light décor and cosy ambience. The idea, much like the name, is that your usual tapri has got an elaborate makeover without losing the essence, which means their tea menu, available both in a pot and single serving, has the whole range that will cater to everyone. On top of that, it will spoil you silly with their elaborate menu options that blend perfectly with their refreshing beverages. A variety of sandwiches (which is giving heady competition to Sandwizza located right next door), a complete breakfast menu, pizzas, pasta, other snacks, and even waffles; Urban Tapri Café is pretty much nailing it given the fact that that area was lacking an eatery like this. Beat the heat with their Guava Pinacolada, an experimental mix that hits all the right chords in INR 150. Team that up with their veggie delight wrap (INR 150), a generous serving enough for two to share. Cutely enough, they have a Maggi & kulhad chai combo (INR 99) which has a nicely made cup of tea (just the kinds that made at home) and the evergreen Maggi. If you’re visiting here during lunch time, they have some mini meal options too to fix your hunger. End your chit-chat session with their red velvet waffle. It’s strongly recommended. If you’re either looking to binge on some breakfast on the go or want to catch up with someone in Vile Parle (E) after work, this little café is your best pick.